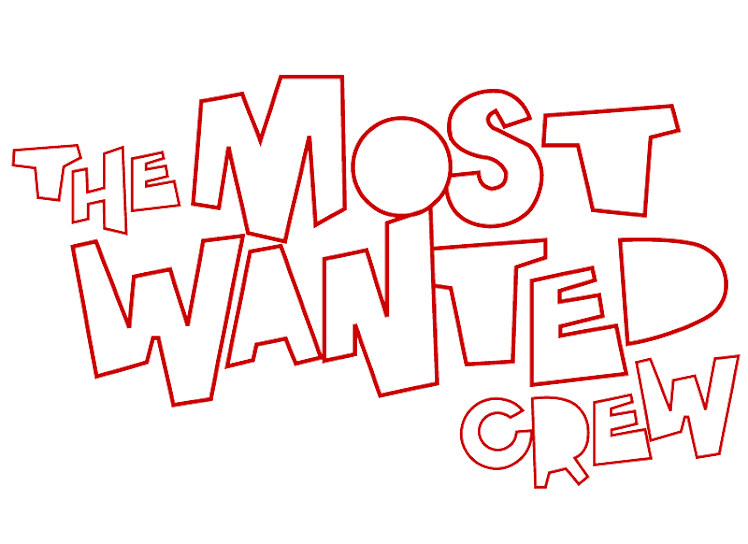 The Most Wanted Crew : Behind The Hype: FOORAKIS & TANK HAVE LANDED! MAY GOD HAVE MERCY ON THOSE POOR LITTLE. 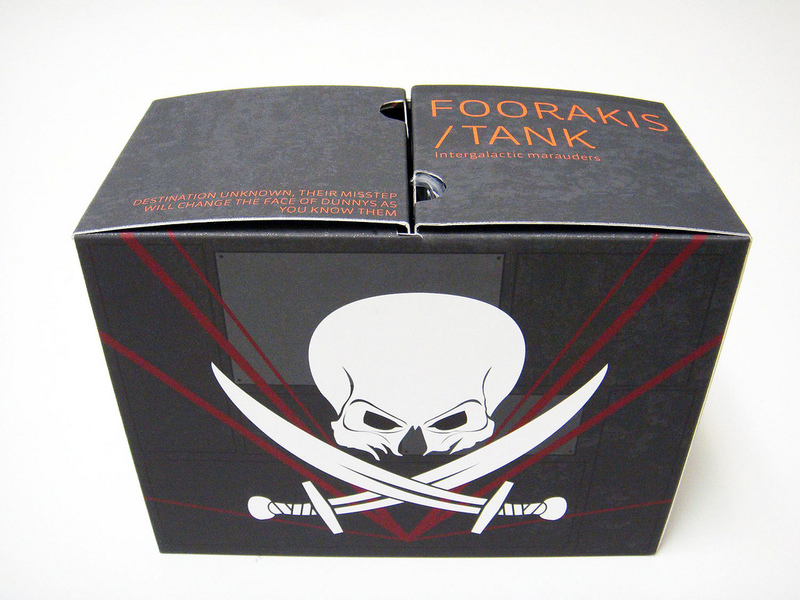 . .
FOORAKIS & TANK HAVE LANDED! MAY GOD HAVE MERCY ON THOSE POOR LITTLE. . .
J3 is a highly radioactive fuel that is so rare that the only supply left in the entire universe was just stolen by none other than Foorakis and his mute minion Tank. Tank was specifically engineered to handle J3 with his hands of steel and his cranial reservoir, so swiping the fuel was a cinch. However, the 2 marauders still fled the scene in a panic – carelessly refueling their ship and not screwing the cap on completely. Having easily outrun the cops, Foorakis was about to steer the ship past earth when it started to lose altitude. The 2 space pirates had no idea what was happening but they were going down and fast. 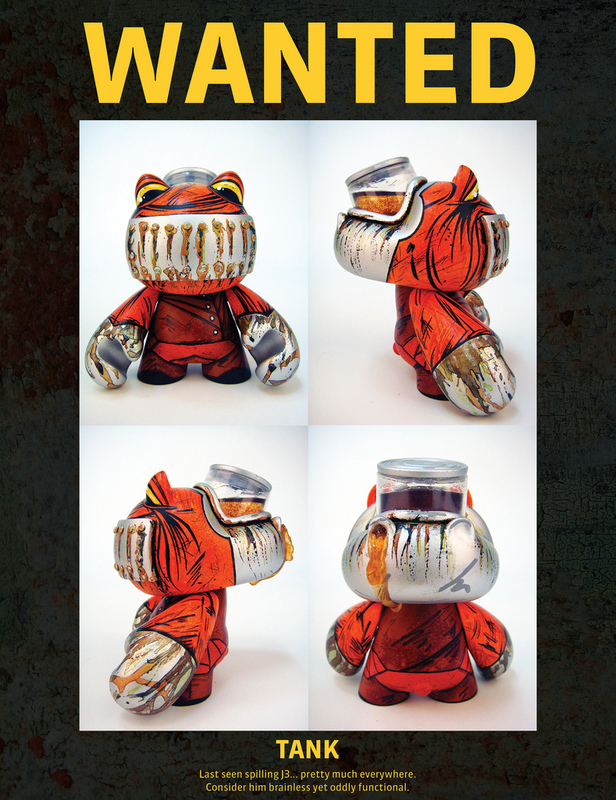 They had never been to earth so they had no idea they were about to crash land in Boulder Colorado... directly into the newly completed National Dunny Archives. at an undisclosed time. Who knows when they will show themselves....but I bet following me on Twitter would help: @Nikejerk. What Foorakis and Tank didn't anticipate was how the J3 would effect its surroundings... being highly radioactive. They survived the crash only to find themselves in some kind of museum... there were little, plastic rabbits everywhere...and the J3 was all over them. There's no telling how these... rabbits will react. 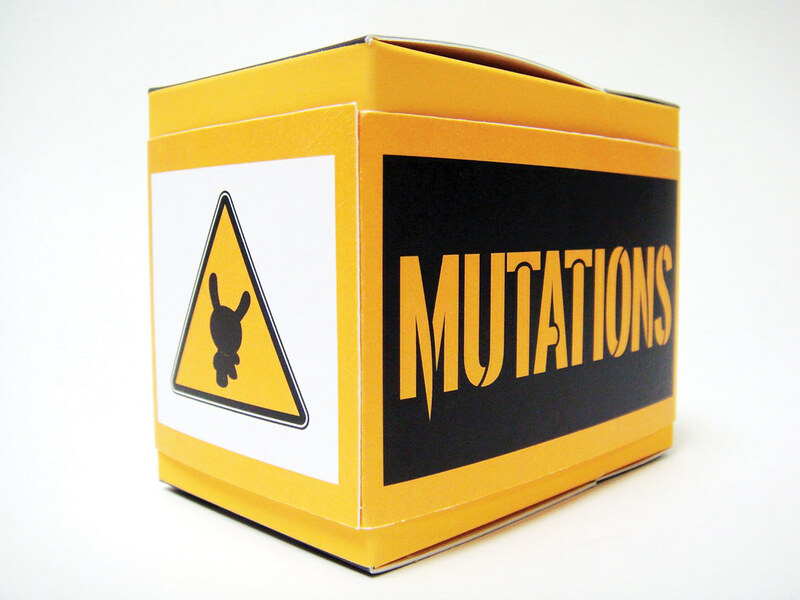 Mutations. 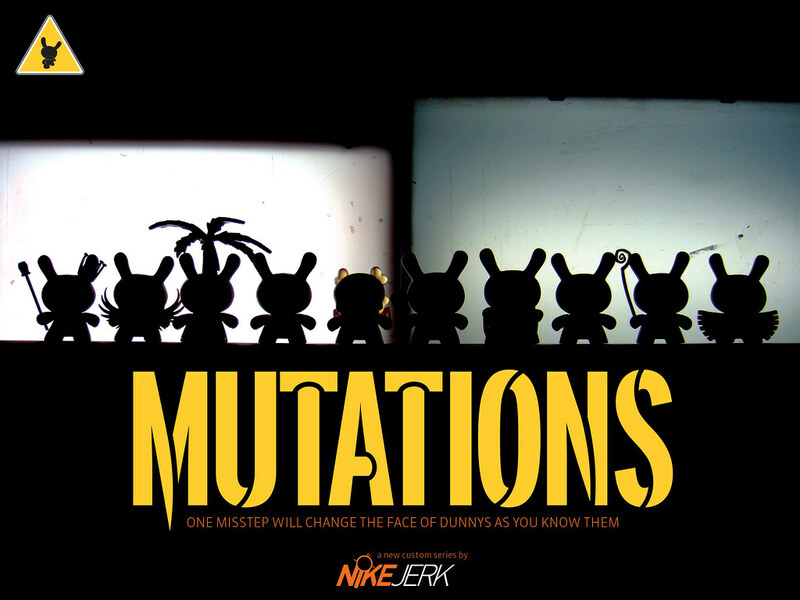 A new custom series by Nikejerk available only at SDCC 2011. More info to come including full reveals, a custom giveaway and a possible pre-order for pickup. NEW ISH UP! 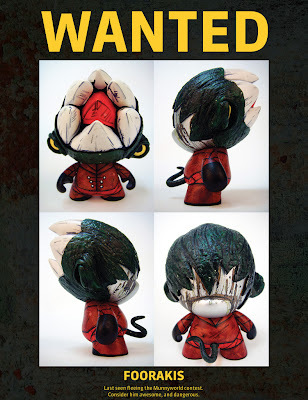 AND MORE COMING SOON, CHECK IT!